Here we are again! Visiting the spirits department of Aldi. This store has made a name for itself by offering groceries at a lower price than some of their larger competitors. They are now becoming justifiably celebrated for their beverages, and they are not putting a foot wrong – at least from the review samples that I have tasted and Bellucci Amaretto is no exception. It’s all very nice to be able to offer cut-price spirits but the quality must be there. 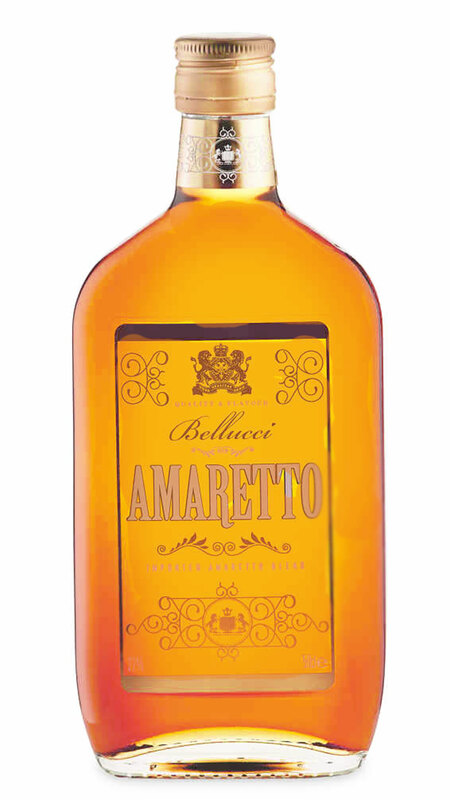 The Bellucci Amaretto is almost indistinguishable from other better-known brands. Amaretto is Italy’s best-selling liqueur. It is thought to have first been made in the 1500s in Saronno from a delicious combination of brandy and apricot kernels. The centre of those kernels gives a very distinct almond flavour for which this liqueur is prized. Bellucci Amaretto is rich and sweet and fools one’s taste buds into thinking we might be enjoying a little liquid marzipan. It makes a perfect cocktail but also helps to create a wonderful Italian Coffee – and likely no additional sugar needed. Try this Amaretto to plump up dried fruit to add to an almond cake. A little over a good vanilla ice cream makes a rather sophisticated yet simple dessert. Perhaps the easiest use is to just serve over ice. This is a sweet winner and at a very acceptable price.